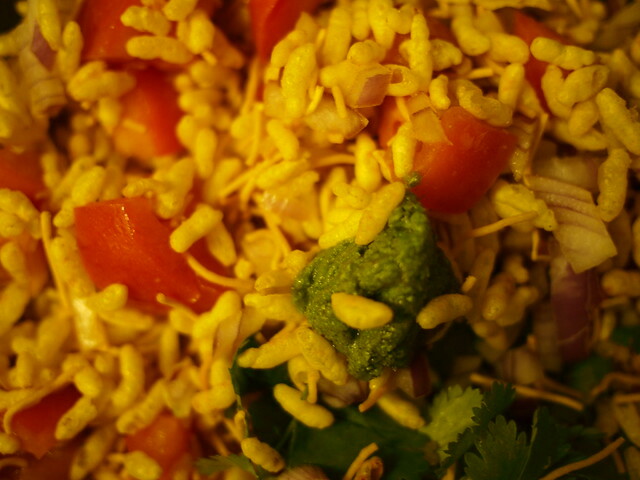 Bhelpuri is an Indian Chaat delicacy. 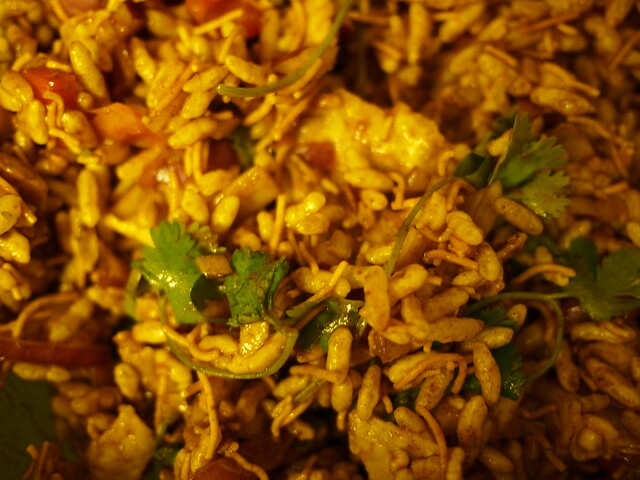 Quite similar to a salad in preparation, but spicy, tangy, sweet and soft-crunchy describes its taste! Best with a cup of masala chai, some rain outside, and a good book or movie! 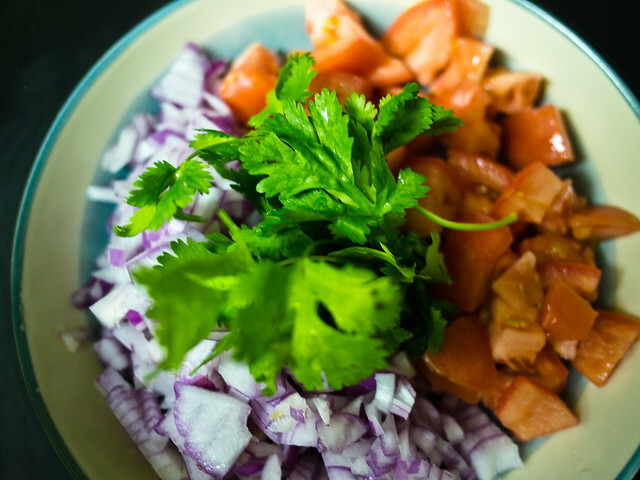 Step 1: Cut red onions, tomatoes. Coriander, a handful. Aren’t the colors of veggies lovely? 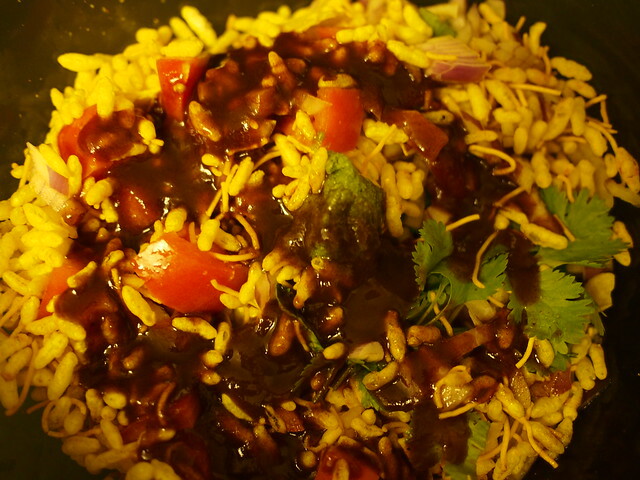 Step 2: Tamarind date chutney and bhelpuri chutney mix, both of which are sauces that add tanginess, fruity sweetness and spiciness to the bhelpuri. I always add extra doses of this tangy deliciousness! Green chilli paste according to your spice taste preference. Here I have used half a teaspoon. 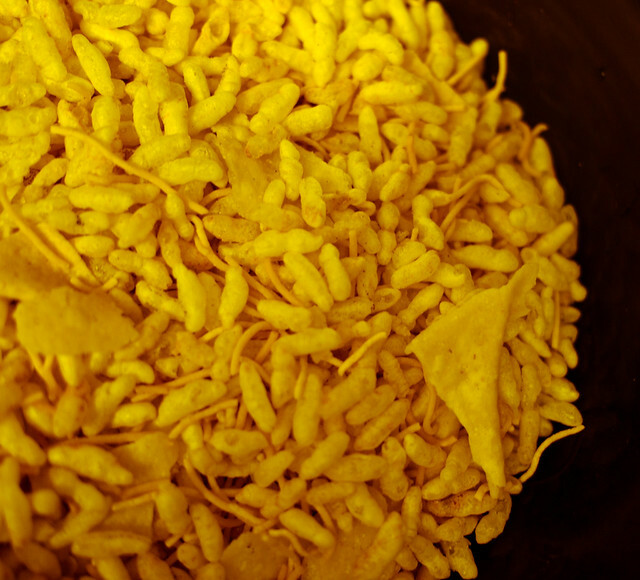 Step 3: This is puffed rice, the main ingredient for bhelpuri. About 2 cups will serve 2. 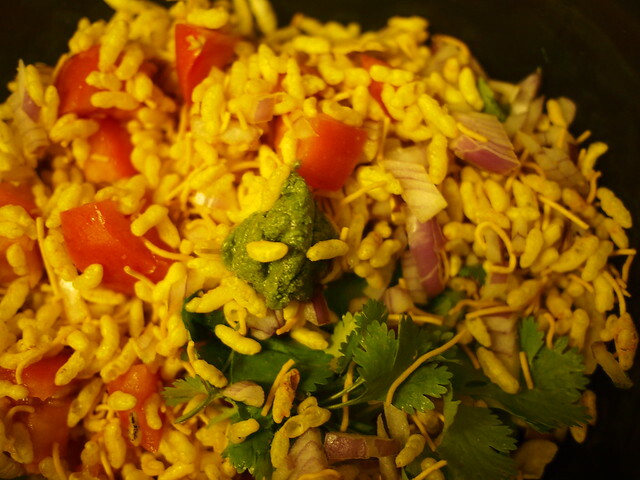 Step 4: Add the cut onions, tomatoes, coriander, and green chilli paste to the puffed rice and give it a good toss. 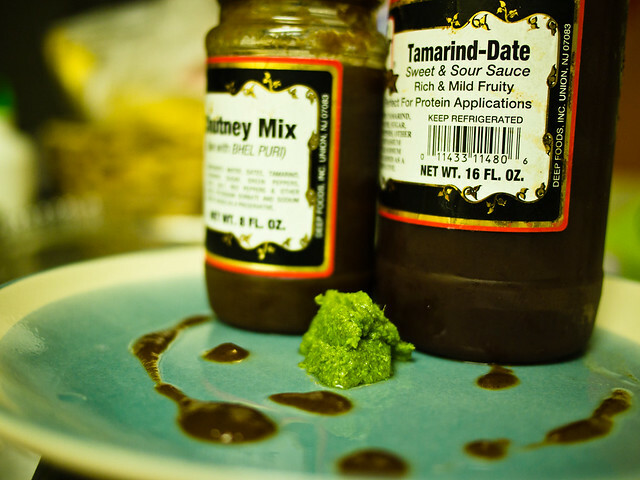 Step 5: This is my favorite part – start adding the chutney mix and the tamarind date chutney. Hard to stop – the more the better as seen in the next pictures! 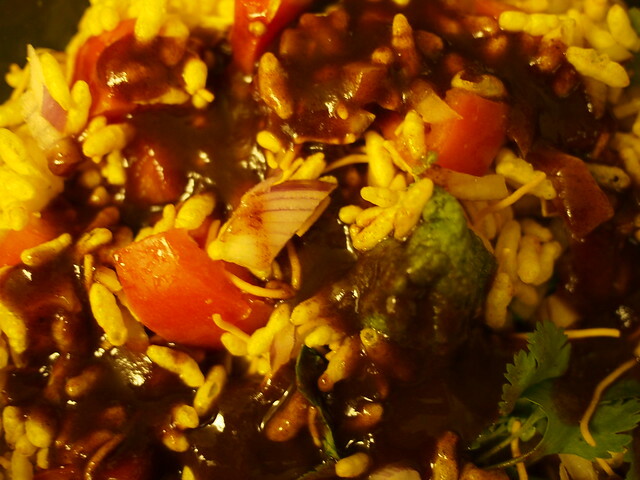 Step 6: Plenty of tamarind date chutney and chutney mix added here. You can add chaat masala powder, but I didn’t have that handy.